Can Police Search Your Car’s “Black Box”? A Florida appeals court recently ruled on a unique case regarding a dispute over a vehicle’s black box data. Typically black boxes contain information related to the vehicle’s speed, braking, and steering at the time of a collision. Police in the case downloaded information related to the incident without a search warrant, however, the 4th District Court of Appeals ruled that the evidence was illegally obtained and should be suppressed. The court stated that there should be a “reasonable expectation of privacy” regarding the information held inside a vehicle’s black box and that absent exigent circumstances the information is protected by the Fourth Amendment to the United States Constitution. The Fourth Amendment protects people within the United States from illegal searches. This means that in most circumstances law enforcement must have a search warrant to lawfully search someone’s residence or property. In the event that evidence is illegally obtained the evidence will typically be suppressed, meaning that it will not be allowed to be used as evidence in a trial. Florida state law Article I, Section 12 also protects individuals against illegal searches and notes that evidence illegally obtained may be suppressed. The Fourth Amendment protects people from “unreasonable” searches from state and federal law enforcement. For a search to be considered reasonable, law enforcement must have probable cause to administer a search. 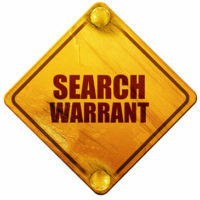 In most cases, to search a suspect’s home, law enforcement must convince a judge that they have enough evidence of probable cause to be issued a search warrant. To determine protections by the Fourth Amendment, the court normally examines whether the individual was right to expect some degree of privacy and if the person’s expectation of privacy was objectively reasonable. If the answer is yes to both of these questions, then the person is typically protected by the Fourth Amendment. The exact application of a person’s “expectation of privacy” often varies and the interpretation of this term is commonly debated in Florida criminal proceedings. There are situations where a law enforcement officer can legally conduct a search without the prior consent of the suspect or a search warrant. One of the most common occurrences of this is when a law enforcement officer sees contraband in “plain view”. While the definition of the term plain view is often the subject of heated debate, it typically refers to any instance where an officer can view the object easily while standing outside a vehicle. In instances where contraband is in plain view (like marijuana sitting on the passenger seat of a vehicle), the individual has no reasonable expectation of privacy due to the reasonably plain view of the illegal substance located inside the vehicle. Should your criminal defense lawyer determine that an illegal search has occurred, they can file a motion to suppress the illegally obtained evidence. The motion will contain a detailed description and reasoning as to why the evidence was illegally obtained and should not be allowed as evidence. The Baez Law Firm fights to uphold the Constitution and protect the rights of our clients. In the event that you were the victim of an illegal search do not let this action go unnoticed. Contact the Baez Law Firm today to discuss your case and develop the best course of action for you. Do not let your freedom go to chance; ensure that you are receiving knowledgeable and effective representation. Call 800-588-BAEZ today to schedule your free consultation.